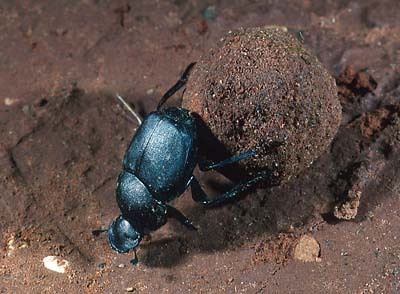 Dung Beetles are found wherever large mammals occur. They are often seen rolling balls of excrement over the ground. The ball will then be buried withan egg laid inside. Upon hatching, the beetle larva will have a ready food supply.